Barney Welch, a great man and one of my first college football, and Texas A&M, interviewees passed away on November 24, 2014. He will be missed. Click HERE to read what I wrote after meeting with, and interviewing, Mr. Welch back in October 2004. The following is Mr. Welch’s obituary as it appeared in the Bryan-College Station, Texas Eagle Newspaper. I can run and not grow weary, I can leap and not grow faint. It’s heaven! Barney was born in Hico, Texas and grew up in Stephenville. He graduated from Texas A&M where he earned his Bachelors and Masters degrees. He was a World War II veteran, having fought in the European theater. He was involved in athletics most of his life. 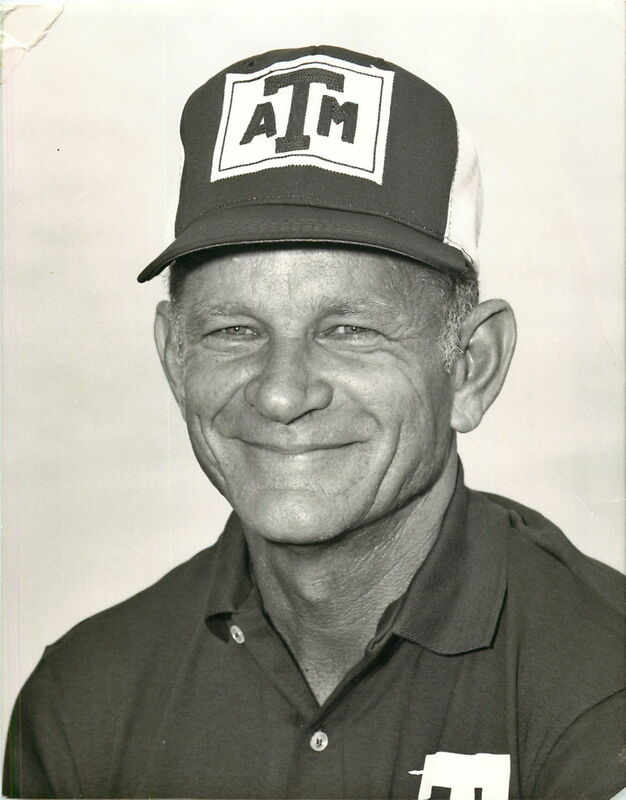 Barney was the long time director of Intramurals at A&M. He was the only person in the Southwest Conference to be a football player, coach and official. He was preceded in death by his wife, Jane Porter Welch and his son, Frank. Barney is survived by his son, Russell Welch and wife Isabel of Denton. Also his daughter, Lynda Black and husband Jerry of College Station. He has one sister, Lyndol Braunig of San Antonio. There are 2 grandsons, 2 granddaughters along with 7 great grandchildren. A graveside service is set for 2 p.m. Saturday, November 29, 2014 at the College Station Cemetery. There will be no visitation prior to burial. Memorials may be made to Grace Bible Church or Traditions Hospice in College Station. After Memorial Stadium was dedicated in Austin in 1926, the Aggies went 16 years without scoring a touchdown in that stadium. In 1942, Barney Welch returned a punt, untouched, in the fourth quarter to become the first Aggie to ever score a touchdown in Memorial Stadium. The Aggies had to wait until 1956 to defeat the Longhorns in Austin. Barney played a key role in the history of A&M football history and was dearly loved by all who knew him. This entry was posted in 2014, In Memoriam, Texas A&M by Travis Normand. Bookmark the permalink.